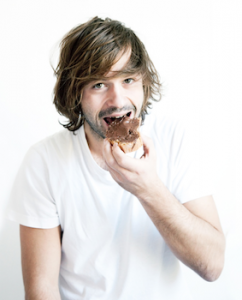 After months of rumours we are pleased to confirm world-renowned Parisian baker and TV personality Gontran Cherrier will open a artisan boulangerie-patisserie at 140–144 Smith Street, Collingwood, this June 2016. Boasting Cherrier’s signature decadent creations, including buttery croissants, fragrant baguettes and delicious squid-ink rolls, the bakery will also include a dine-in café. 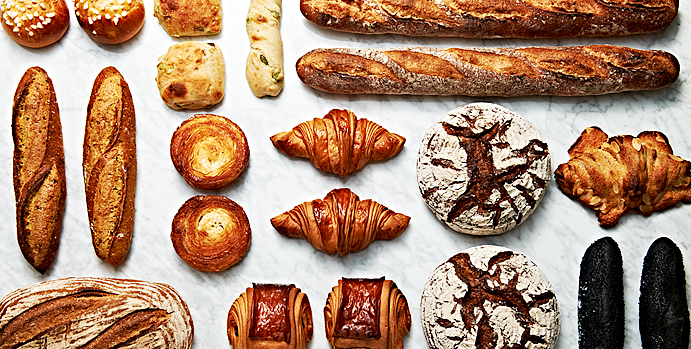 Cherrier is a fourth-generation baker known for his innovative recipes and putting a contemporary spin on some of France’s most celebrated baked products, while still paying homage to the traditional French bread-making process. In a country where good, artisan bread is valued like gold, Cherrier’s creations have a reputation for being the best. Recognising the culinary strengths of Melbourne as a city that craves good quality and fresh produce, Cherrier has chosen to share his famous baguettes, loaves, viennoiseries, cakes and tarts exclusively with Australia’s food capital. “I chose Melbourne for my newest international bakery because it is known for its excellence in food. I think it also shares a lot of similarities with Paris such as the café culture and laneways,” Gontran said. The gorgeous venue will be designed by Eades & Bergman, whose impressive client list includes the likes of Meatball & Wine Bar, Transport and Hawker Hall, and will reflect the elegant French brand with a touch of Collingwood. Customers can expect to find both traditional and unique food created with the highest-quality, imported French ingredients and ovens. The menu includes French almond chocolate croissants, paprika buns, rye and red miso bread, lemon tarts and much more, much of which is made using organic ingredients. Ahead of the highly anticipated launch, Cherrier will head to Melbourne on March 3rd–9th for the Melbourne Food and Wine Festival where he’ll be cooking up delicious bread and sweet treats in the 2016 Festival Hub Urban Dairy. He will also be available to media during this time. After studying at the École de Boulangerie et Patisserie in Paris, Cherrier trained as a chef at some of the top restaurants in the world, including three-Michelin-starred restaurant, L’Arpège under Alain Passard, and also created desserts at Alain Senderens’ Lucas Carton. Following this, he travelled the world before opening a number of famous boulangeries in Paris. His charismatic but humble personality has made him a popular TV presenter in France, where he hosts the quintessentially French show La Meilleure Boulangerie de France (‘The Best Bakery in France’).